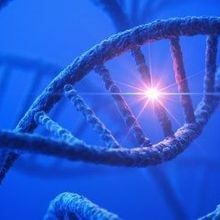 The US Food and Drug Administration will allow the personal genomics company to resume a disease-risk analysis. 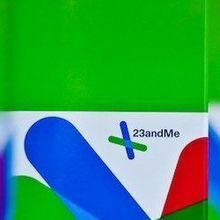 WIKIMEDIA, MAGGIE BARTLETT, NHGRIPersonal genomics testing firm 23andMe is easing back into health-prediction service after the US Food and Drug Administration (FDA) yesterday (February 19) gave its blessing for the company to market a test that would predict the risk of a rare disease called Bloom Syndrome. 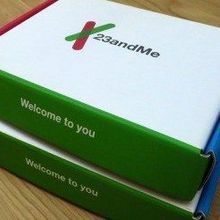 The FDA had put a stop to all of 23andMe’s health-prediction services in 2013 over concerns that the firm was overstepping its scientific authority. 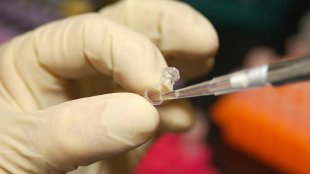 “While this authorization is for a single carrier status test only, we are committed to providing US customers with health information once more tests have been through this process and we have a more comprehensive product offering,” CEO Anne Wojcicki wrote on the 23andMe blog.